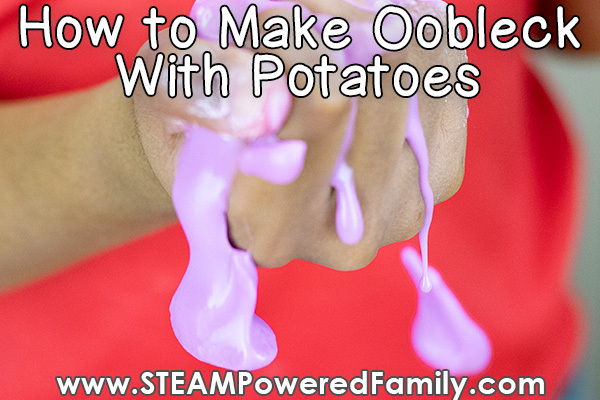 How to Make Oobleck Slime from Potatoes - The Best Oobleck Recipe! We love making oobleck, it is a non-Newtonian fluid that is also known as oobleck slime, magic mud or goop. What’s so magical about it? It goes solid under pressure and liquefies when pressure is removed. It is fascinating to play with, but when we changed up our recipe a bit to create a potato starch oobleck, things got really interesting! 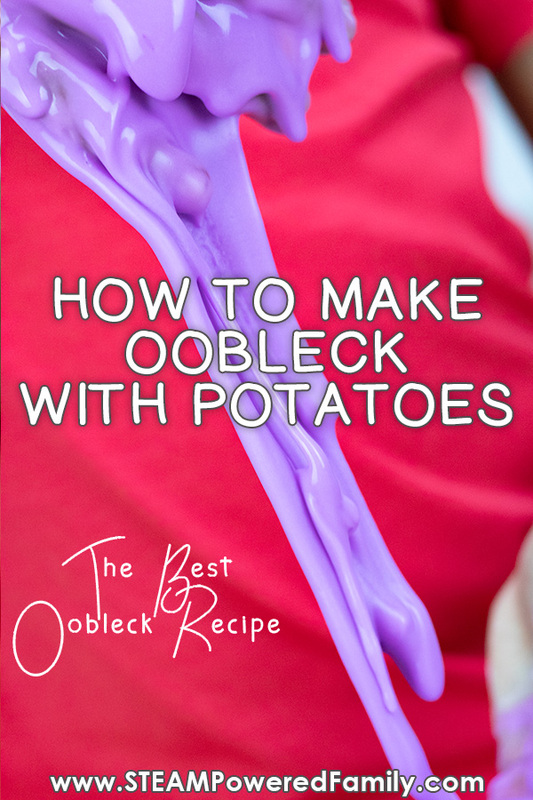 Oobleck Recipe with Potatoes – The best oobleck recipe! 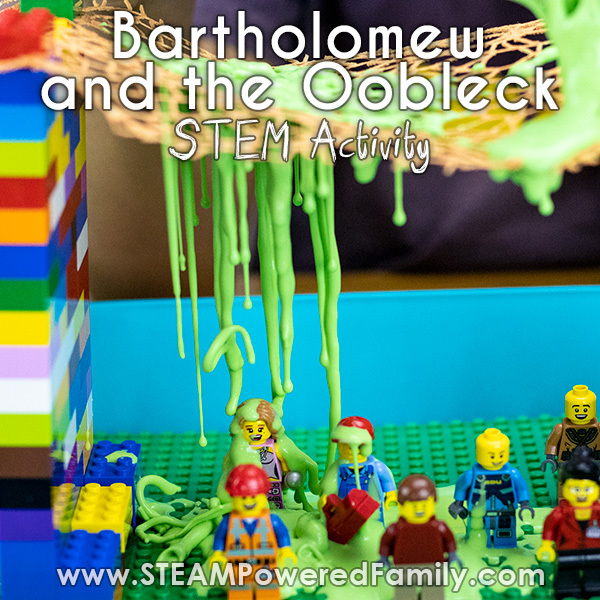 Oobleck got it’s name from a 1949 Dr. Seuss book called Bartholomew and the Oobleck. It is a goopy slime that does something your normal slime will never do, it turns solid when you squeeze it or apply pressure. Most liquids solidify due to temperature change, think of water turning to ice. Oobleck turns solid with pressure. Once you release that pressure it pours like liquid again. Oobleck is known as a non-Newtonian fluid in proper science terminology. Issac Newton developed some laws around fluid dynamics. In a nutshell, he stated that fluids flow in predictable ways based on their viscosity and density. Clean water flows smoothly and quickly, but mud will flow slower. The thicker the mud, the slower it flows. 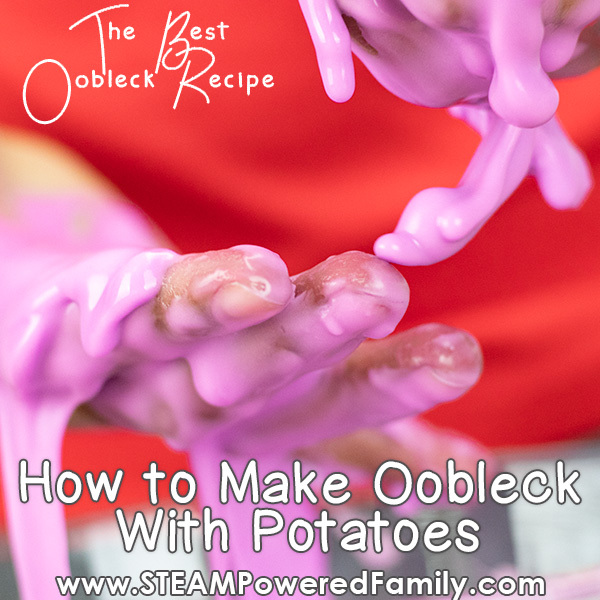 Then we have Oobleck, it is a non-Newtonian Fluid because it doesn’t follow Newton’s laws. It’s such a rule breaker! This activity is part of a series we did exploring how various ingredients worked in the creation of oobleck. We tested Cornstarch, Baby Powder, Tapioca Flour, Arrowroot Flour, Baking Soda and Potato. The results were surprising and resulted in a fantastic Science Fair Project. Now, in my typical fashion, I went a little overboard with this experiment and spent DAYS trying to gather my own potato starch right from the potatoes. The premise seemed simple, finely chop the potatoes, pour hot water over them, strain out the liquid, repeat. Let the liquid sit for a bit. The starch will settle to the bottom. I had batches going for days and I ended up with about a tablespoon of starch. This wasn’t going to work. To make oobleck I needed way more potato starch. Perhaps my potatoes were a low starch variety? I’m really not sure why I didn’t have much success. Thankfully I discovered I could buy bags of potato starch at the grocery store (it was in the health foods bakery section). Problem solved! But it was still cool to see how much work goes into getting this simple looking powder. 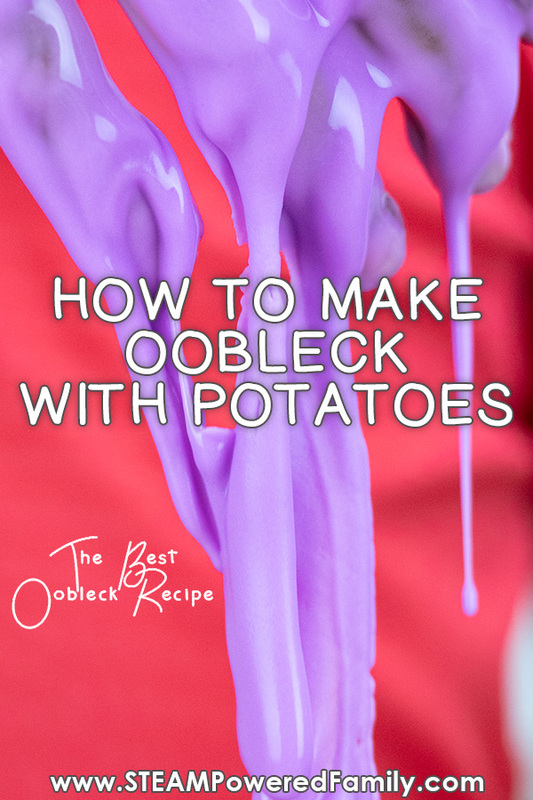 To make our potato starch oobleck was super easy, it uses the exact same recipe as our regular cornstarch. 2 cups of potato starch and 1 cup of water. Mix well and voila! Potato Oobleck! Now since this was a new recipe I was curious to see how the properties might different from our standard cornstarch oobleck recipe. Turns out potato starch made a HUGE difference. This oobleck was luxuriously smooth and silky in texture. It still behaved exactly the same as cornstarch oobleck, becoming hard under pressure, and liquefying when pressure was removed. It was all the same, except the feel. 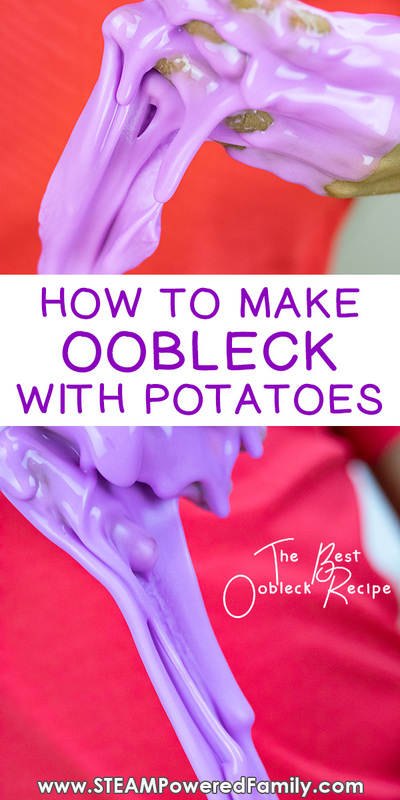 Regular oobleck is fairly gloopy and sticky. This oobleck slipped and slid across our skin. It was not sticky or gloopy. It was a complete pleasure to touch and play with. I could have honestly sat there for hours playing with it and tearing my son away from the bowl was a challenge! He didn’t want to stop. And this is my sensory kiddo who normally is not a fan of gooey things. Heck this momma wants to make a batch to just play with. It is truly a luxurious, silky experience. Just wonderful! And totally surprising! But Wait! 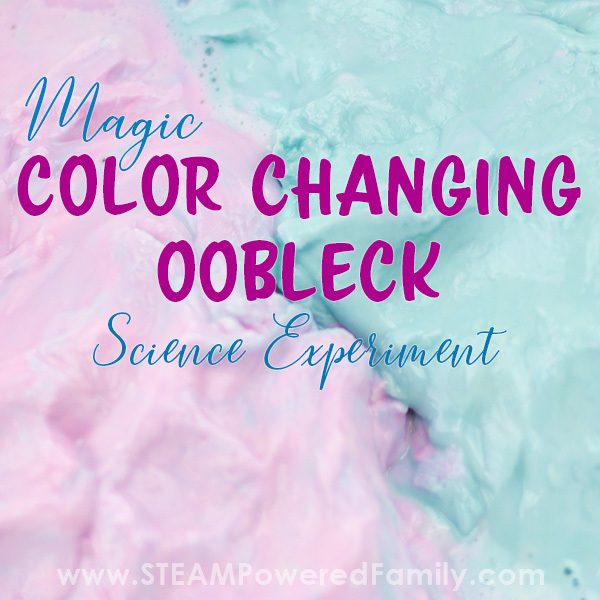 Oobleck Slime Play Dough? No seriously, just wait about 45 minutes after playing with your oobleck (may take longer depending on your climate, it is crazy dry here). 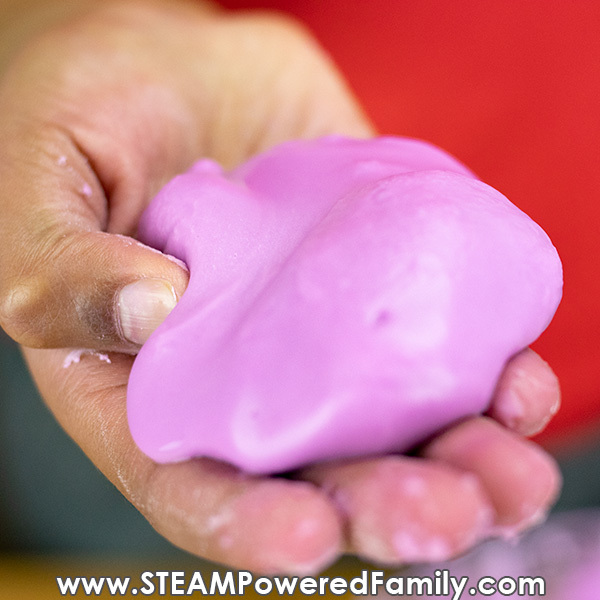 Our potato oobleck slime thickened into this cool, silky play dough. It still flowed, but slowly and became very moldable. Another cool sensory experience! Our other oobleck recipes separated when left to sit for a bit, so it was cool to see this one do something a bit different. 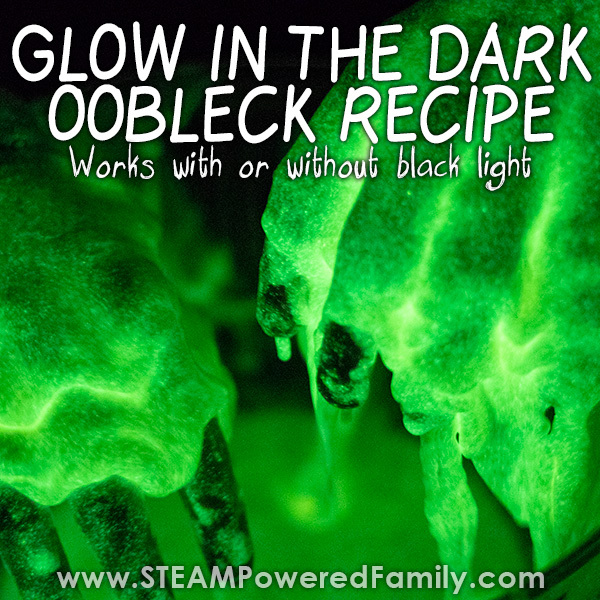 We’ve Been Making Oobleck Wrong This Whole Time! 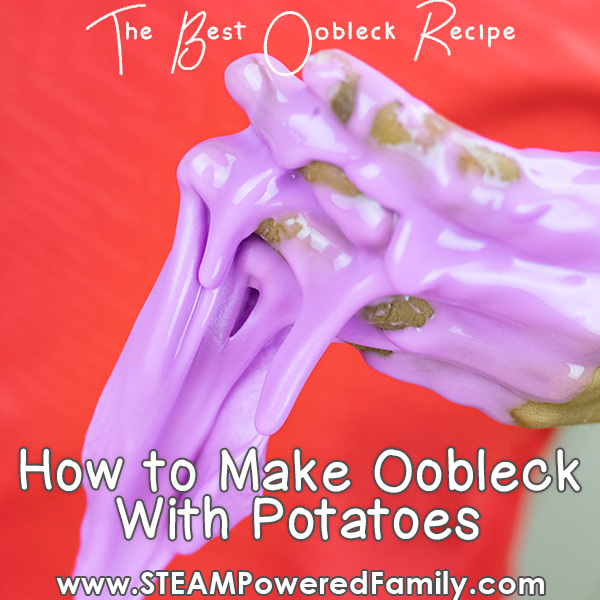 In my opinion we have been making oobleck wrong this whole time. Yes, cornstarch is fine and makes a great oobleck for scientific purposes, but it is nothing compared to the amazing feel of potato oobleck. From now on I am always going to use potato starch for our oobleck if we are doing a recipe where sensory experience is important. For example in our Halloween Oobleck game. This stuff just feels too luxurious and silky not to want to play with it. Plus, I found it much cleaner to make. And a little less mess is always a win in my books! 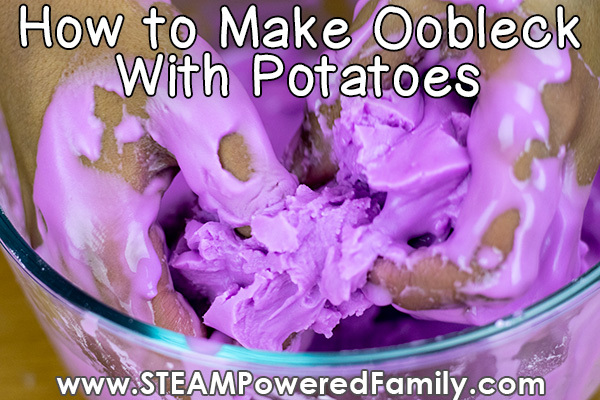 So go now and make a batch of potato starch oobleck, you won’t regret it!